"Very nice and Reasonable price"
Have a question for Go Hotels Bacolod? "Staff is very friendly and accommodating!" 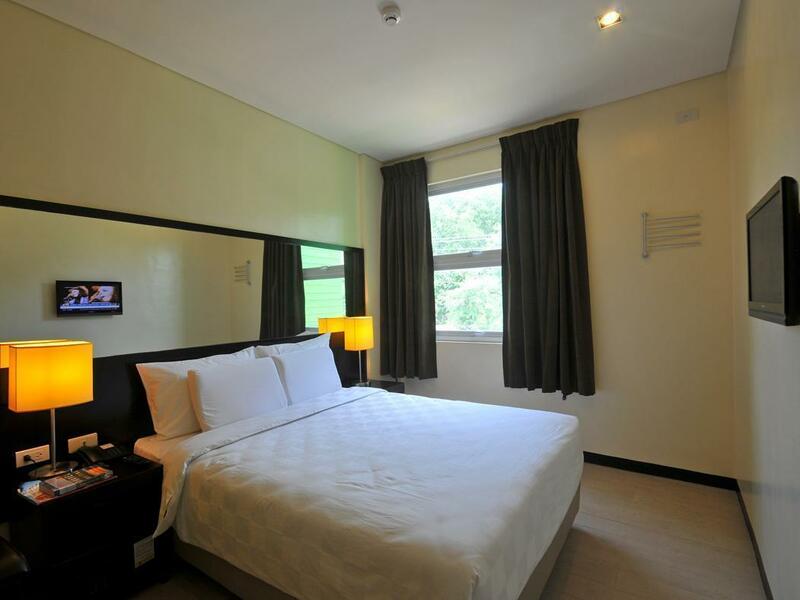 Go Hotels Bacolod, located in Mandalagan, Bacolod (Negros Occidental), is a popular choice for travelers. The excitement of the city center is only 3.5 km away. With its convenient location, the hotel offers easy access to the city's must-see destinations. First-rate hotel services and facilities that define the GO Hotels experience await you at the Go Hotels Bacolod. For the comfort and convenience of guests, the hotel offers free Wi-Fi in all rooms, 24-hour security, wheelchair accessible, 24-hour front desk, facilities for disabled guests. Step into one of 108 inviting rooms and escape the stresses of the day with a wide range of amenities such as television LCD/plasma screen, internet access – wireless (complimentary), non smoking rooms, air conditioning, heating which can be found in some rooms. The hotel offers wonderful recreational facilities such as spa, massage, garden to make your stay truly unforgettable. 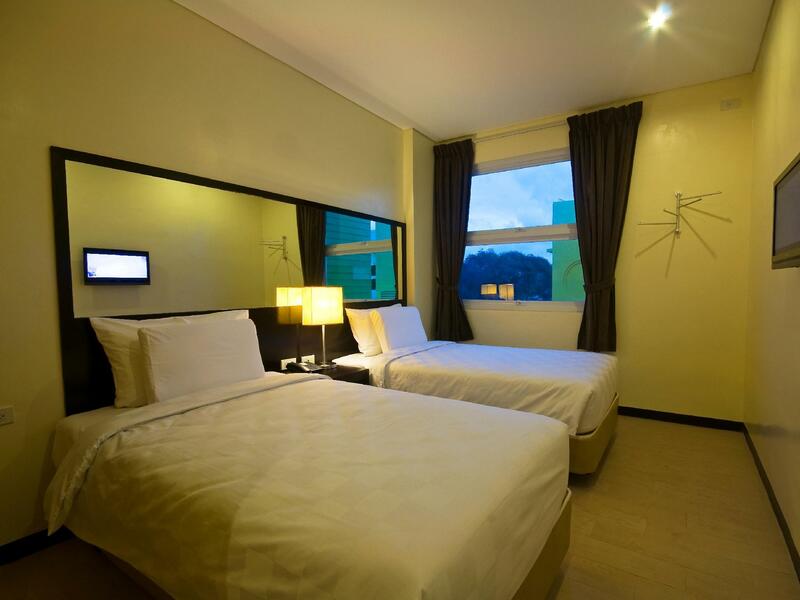 Discover an engaging blend of professional service and a wide array of features at Go Hotels Bacolod. "Tour agency on the ground floor had excellent services as we..."
Guests checking out after 2:00 PM will be charged for an additional night. If you’re traveling as a tourist or on business trip, I suggest you stay at this hotel since it’s really clean and cozy. Although there are no facilities in the place, what do you expect in a 1.7k a night hotel, anyway? Location is a plus as well. I’ll definitely recommend it to anyone who’s traveling to Bacolod. My flight was delayed that I got to check in at 7am instead of my supposed 2pm sched the previous day. I lost a huge chunk of hours and I only had 4 hours of sleeping time left at the hotel. The staff, Seanne, was very understanding that she extended my stay for a few allowable hours at no charge. I really appreciate this approach to customers. Hotel is neat, quiet, and conveniently next to the mall. Will stay here again, definitely! The location is perfect. Its so near Robinsons and the highway. Made me save a lot with transportation cost. The staffs are friendly, they greet all the time. I get to save so much time in travelling coz its at the center of the city (maybe, just my opinion). Restaurants, fast food, carenderia are just around every corner. You can choose where to eat. Over all I am satisfied. Easy to book. The staff are accommodating too. Sad though that the place seems like it's not well maintained. The sink is slow to drain. The shower head is a bit rusty — but it has the cold and hot shower so for an overnight stay, I can't complain much Bec it provided what I needed. The bedsheet wasn't as white and it doesn't smell so fresh. It's not as good as before. Overall, my experience at Go Hotels was good. The room was clean, and the staff was friendly. However, there were some noisy customers at night, when some of us were about to sleep, as if they weren't aware of the hotel's policy. Also, they should inform their customers about the additional charges. It was my first with Go Hotels and what stood out for me was the customer service. Very excellent and humbling too. Although the room/s were kept clean and tidy, I noticed that the building and facilities were very old. Prior to the trip, I specifically requested for a quiet room because I'm a light sleeper. Unfortunately, I was placed in the most noise-prone room, which was situated in the main road where the residential community was located. I got up in the middle of the night and heard dogs barking, motorbikes running and people talking non-stop. So around 2AM I had to request for a room change, luckily there was an available room to accommodate me. Location wise, it's near to everything. No 24/7 convenience store nearby so you may need to grab everything you need before the establishments shut down at night. Grab car rides are very efficient too within the metro. Go Hotels Bacolod is currently having some of their facilities upgraded. I am quite disappointed for the bathroom not being cleaned when we arrived and during our stay. The staff were however courteous to us. WIFI was super slow. The connection was intermittent. Cant even watch a full 3minute youtube video. The room I stayed in doesn't have any bidet. Whew. Well, no choice but have to be resourceful. I improvised. Hope if the case is like that, they should offer if customers would consider using a pail and a pitcher. I traveled alone in Bacolod. I chose the Go Hotel because it's near The Ruins. I'm female and safe to stay in the Go Hotel. Especially, Robison's store is behind the Go Hotel. It's convenience for someone who travels alone and also they have travel and transportation service. Everything is ok except fo the aircondition.imagine sweating in your room while doing nothing.its really hot.i called front desk a lot of times and its seems like they cant fix.thats the only problem,but everything else is good.the staff is attentive,the location is perfect.i hope they can fix the aircon as soon as possible. Easy to hail taxis and jeepneys since it is just right beside Robinsons. Staff are accomodating. Basic hotel that pretty much provided what I needed - have somewhere to sleep, bathe, and watch tv before going to bed. It’s best that they should improve their internet wifi connection. I thought theres a dryer but there wasnt.but nevertheless it was good..were happy to stay..
We were happy with our stay. The rooms were a bit small (expected for the price), but they were clean. Robinson's mall was just a short walk behind the hotel. Staff were friendly and accommodating, and WIFI was decent. The only thing I wish they would do is to add a canopy over the walkway to Robinson's Mall. It was rainy when we visited, and even though the mall was very close by, getting to it in the rain was difficult because we had very young children with us. There are at least three ways to the hotel, thru the Rob Bacolod, thru the street which along this street the hotel is located and thru the mall drive way (which is the last option that we knew). We got late home late one night (it was raining) and had to pass thru the street - no street lights and no people around.. it was a short walk but it really felt unsafe. we hope that street lights will be installed along the street to the hotel.